The PRATS second longest trip of the season with a 362 mile round trip, we’re going down to Weymouth in West Dorset on the south coast. Last time we were down this neck of the woods was the first day of the season at Poole. We crawled from Winchester to Bournemouth due to holiday traffic. I recall Parker praying for divine intervention “Saints preserve us” he hollered, we pointed out that we were already in a jam. I spoke to Pharp about the trip, he said he’s a bit mardy, his distant family have had a torrid time of it lately with Judd Trump getting beaten at snooker and Donald not welcome in the UK. I ask what was the family connection, he said “it’s a bit of a long winded story”, no surprise there then. This will be an early start. We’ve decided to go for a fry-up on the way down, just not sure where yet, probably the Little Chef just south of Newbury I suspect. We need to get some sustenance in us before we get to the first guzzling station. Out target is The Royal Standard in Upwey, on the road between Dorchester and Weymouth. Guess what, they brew their own ales, DT3 and DT4, another brewery, we’ve been to quite a few this season so far. Strangely enough the post code for the pub begins with DT3 and the post code for Weymouth FC begins with DT4, I wonder? They have quite a few other beers on offer, so it should be a good stopover. They also make their own Scotch eggs, marvellous. There are quite a few half-decent pubs in Weymouth, I’ve filtered those that serve locally brewed ales. The Red Lion looks promising as does the Royal Oak. 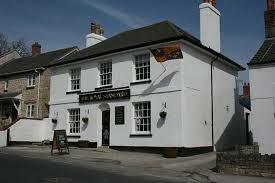 For those that like to frequent Wetherspoons pubs there is the Swan Inn. The ground is a couple of miles out of town, is there any decent ale in the clubhouse? There doesn’t look as though there are any pubs nearby. On the way home, do we stop near Newbury or move closer to home and stop in Abingdon? 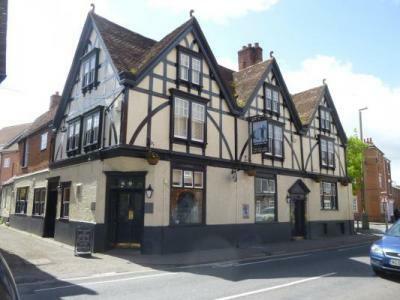 Just off the A34 is the Three Horseshoes in Donnington which serves West Berkshire ales. In Abingdon on Thames we have a bit of choice however the Brewery Tap has a good selection of ales to choose from. This hostelry is the former tap for Morlands brewery, which is no longer in the town. That should be enough for the day unless we get the beckoning urge from the Towcester Brewery Tap.